There’s no mistaking that we have some of the best lunch in Calgary with over 25 delicious food vendors to choose from. But did you know that we have many amazing options for breakfast too? We’re not just a lunch place, we’re a heckuva destination to enjoy breakfast or brunch with your loved ones (without the tummy-growling line-ups of a brunch spot!). From bagels to Belgian waffles, eggs Benny to blintzes we have all the popular picks. Here are just 6 hidden gems you can find Thursday – Sunday for breakfast at the market. This sandwich doesn’t mess around. With your choice of Brisket, Pulled Pork, or a Pork Sausage Pattie you can dress it how you like with your choice of veggies or slaw, all topped with an egg. Big T’s also has Southern-style Eggs Benedict and Chicken and Waffles! Why can’t you have pizza for breakfast? This one is made specifically to be enjoyed in the AM with Gruyere cheese sauce, scrambled eggs, bacon, and roasted tomatoes. Pair it with a freshly squeezed orange juice and we say you’ve got a good thing going. Chef’s Earth specializes in healthy and delicious food to go. This super energizing wrap is full of turkey bacon, spinach, eggs, tomato and cheddar with a creamy dill sauce made in-house! It will keep you going for hours! Le Petite Mousse cranks out incredible crêpes all day long; with 7 sweet crêpes and 6 savory galettes, there’s something for everyone. AND, they’re gluten free! This savory ham, Gruyere, and farm egg galette is a delightful way to start off a lazy day meandering around the farmers’ market. Sometimes a homemade bowl of oatmeal is just what you need to get your day started off on the right foot. Topped off with fresh fruit, this traditional oatmeal is a healthy and delicious breakfast gem that’s sure to keep you going while you pick up your local market goodies. A fan favorite and brunch mainstay, Los Chilitos offers up a plate of huevos packed with flavor. Perfect for those that love a little zing, the huevos rancheros is vibrant and hearty. They also offer a huevos con chorizo for those that like it spicy! So the next time you’re looking for a great breakfast destination, rise and shine with us… you won’t be disappointed. Looking for something unique that says: “You’re like no other sweetheart”? 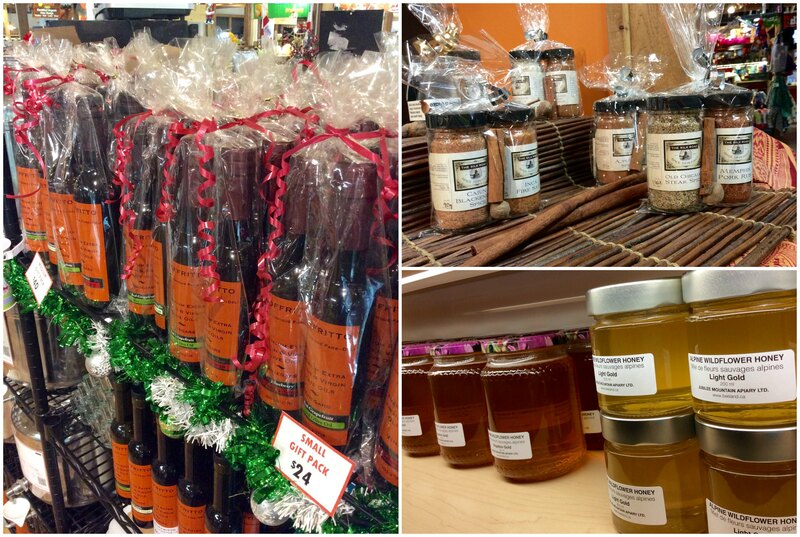 Here are some #sweetlocalgifts that can be found at the market to give your heartthrob a little local love. The ever romantic gift of massage is a can’t be beat gift for your schnookums. Find this Barefoot Venus massage oil at Eden Essentials. Plus, they have a wide variety of bath and body products to rest, relax, and rejuvenate. Find them in Aisle 3. 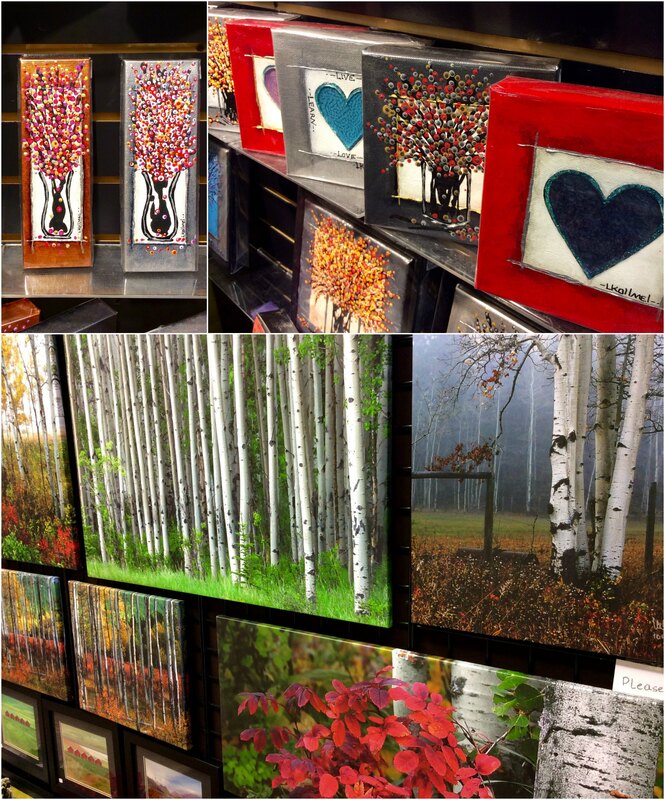 Artistically Inclined has beautiful one-of-a-kind paintings in all shapes and sizes for the art lover in your life. Find them next to the West Entrance. Berit Havre offers a plethora or handmade knits from cold-weather-bundle-up-and-stay-cozy items to adorable sock monkeys. Find her in Aisle 1 to pick up something for your snuggle-bun. A little self-care goes a long way! Essential Oil Diffuser Necklaces from Canadian Comfort are a brilliant and elegant way to enjoy your favorite essential oil all day long. Whether your lovebird is looking for the health or emotional benefits of essential oils, diffuser necklaces will not only smell great, but they’re beautiful too. Find them in Aisle 2. Slip into a luxurious and calming bath with the whimsical romantic in your life. Bath salts by Mint & Daisy are handmade with love and are 100% natural. Find them at Crafted in Aisle 4. 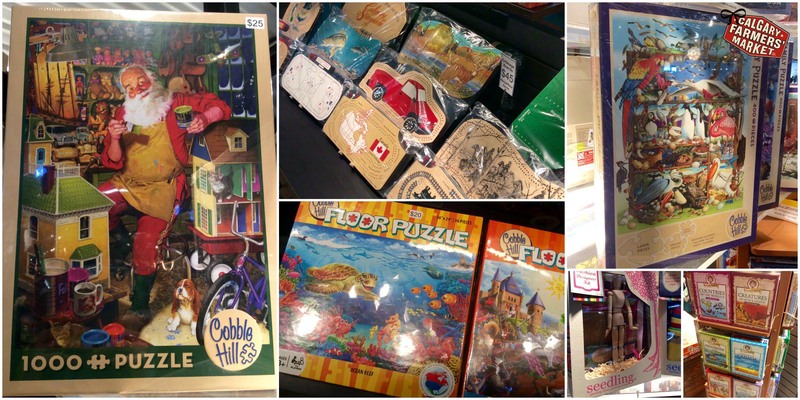 Spend some quality time with your darling this Valentine’s Day; puzzles are for lovers 😉 Find a wide selection of puzzles and games at Cribbage Works on the perimeter. A perfect lunchbox surprise for your little valentine or for your sweet health nut! Pick up heart cucumbers from Gull Valley Greenhouses. Find them in Aisle 4. Planning a romantic meal with your beau? Add a little Field Stone Fruit Dessert Wine to your Valentine’s Day menu to make it especially sweet. Find it in Aisle 3. Perk up the coffee lover in your life with this Chemex Coffeemakers from Fratello Analog Cafe…. because, let’s face it, there’s nothing romantic about a Keurig. Find them by the South East entrance. Make your Big Daddy say Grrrrrrowler! Saddle up to the growler bar for a tasting of local beers and then fill up a growler (or howler) at J. Webb Wine Merchant. Find them in the big red wine Quonset in the North East parking lot. Stay in with your smoochie-poo and celebrate love by popping some bubbly from J Webb Wine Merchant. 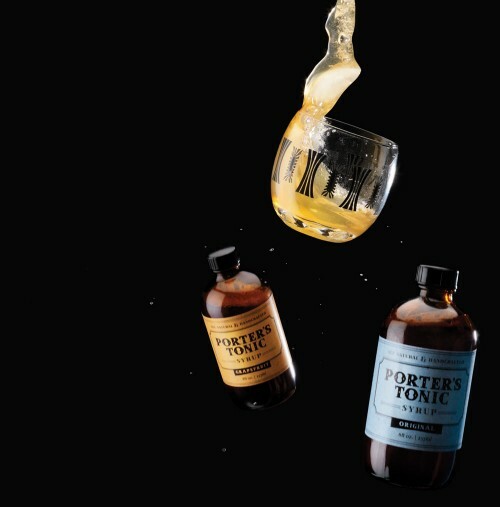 Add a dash of locally made Porter’s Tonic to put you both on cloud 9. Find them in the big red wine Quonset in the North East parking lot. Valentine’s Day doesn’t have to be all roses and chocolates. Give your little sugar biscuit a selection of 16 jerky sticks in a cool wooden box from Longview Jerky. Find them in Aisle 2. Treat your boo to some incredible handcrafted chocolate bonbons from Market. They’re not only blow-your-mind delicious, but they’re works of art too. Find them in Aisle 3. Finish off your Valentine’s Day with handcrafted chocolate cherries by Master Chocolat. Sure to delight your favorite chocoholic. Find them Aisle 4. Sweeten up your love life with a lovely spice pack from Silk Road Spice Merchant. The perfect addition to whipped cream and strawberries. Find them in Aisle 2. Give her a heart as unique as her. Beautifully handcrafted sterling silver hearts say “I love you” quite like no other gift. Find them at Stillwater Designs. Let your love grow. And grow, and grow, and grow! These lovely terrariums are a low maintenance, elegant gift for your cutie pie. Find them at Canadian Comfort in Aisle 2. Cozy up with your buttercup and brew a batch of Love Elixer to steep the night away. Find it at TotaliTea at the end of Aisle 2. We’ve said it before and we’ll say it again, we have an incredible community of supporters here in Calgary. You pull together to support local when it matters most and now is no exception. We wanted to take the time, in the spirit of Valentine’s Day, to tell you how much we love you. Enter to WIN a gift basket filled with items from our Sweet Local Valentine`s Gift Guide at Customer Information from February 5th – 14th. These incredible arrangements will turn even the most sour grinchy frowns upside down. Handmade in all sizes, Flowers at the Market can arrange the perfect gift that will most certainly make hearts grow three sizes. And to help make your season bright, we encourage you to bring in your favorite vase or container and allow Flowers at the Market to build a centerpiece to suit your table while you shop for your Who-pudding and roast beast. Cribbage Works isn’t all cribbage boards (though they do have some pretty nifty ones if you’re family is known for throwing down a mean game of cribbage), they also have the very creative Seedling activity kits, puzzles, and games too! We’re fond of this ‘Explore Canada’ game because it’s local Canadian fun for the whole family. Baby, it’s cold outside! Keep warm with D’Alpaca Peru’s beautiful Peruvian cozy knit leg warmers. Under boots, over pants, or post workout, your legs will appreciate an extra layer when our temperatures dip and it’s up to your knees out there. Wild Things Baby Stuff is brimming with handmade, unique items for babies, kids, and moms. These Cate & Levi hand puppets are all created in Canada with recycled wool. They are specially treated with an eco-friendly process that ensures each hand puppet is soft and perfect for any kid or adult who loves having hours of fun at their fingertips! The Analog Cafe is driven by relentless fanaticism for coffee and a keen desire to share this passion with all of you. They have a wide selection of Breville espresso machines, brewed coffee machines, and the fabulous Espro Press to meet every coffee lovers’ desire for exceptional coffee at home. Turn your bedroom into a blissful retreat with Canadian Comfort’s unique Bamboo collection. Their Hotel Comfort line offers luxury bedding typically found in five star, high end hotels. The premium blend of microfiber cotton and 1800 thread count linens offer a restful and pleasant sleeping experience second to none. They also offer robes, bath accessories, and t-shirts that will help you rest well, and live well. The dancing and prancing in Jingle Bell Square will be flashy and festive with the statement socks by The Friday Sock Company found at Crafted. They offer a brilliant selection of one-of-a-kind, modern, handmade goods created by local artists, designers, and makers. They proudly present a revolving collection including: apparel (for men, women and children), jewelry, accessories, paper goods, home décor, and bath & body products. Whether you’re shopping for yourself, a family member, or friend, Crafted has something for everyone. 7. Do You Hear What I Hear? Knives that go “shooo”! On the second day of Christmas my true love sent to me: a honing rod and a Sugimori. Knifewear has become a destination for those who love Japanese steel and are addicted to sharp. They carry direct-from-Japan, one-of-a-kind, exclusive, scary sharp, high performance blades. Stop by to talk to the Knifewear team about the right blade for the chef, home cook, or aspiring ninja on your Christmas list. Mom and Dad can hardly wait for school to start again, but you can treat your teachers to a cup of cheer over the holidays. Totalitea offers a fine assortment of fresh, quality imported loose teas from around the world. With over 150 varieties of loose leaf tea, you’re sure to find something your teacher(s) will love during the most wonderful time of year. Passionate about the ability of spices to turn a standard kitchen into an incredible adventure, the Silk Road Spice Merchant sells a complete range of spices, herbs, chiles, and seasonings from around the world. They source, grind, and hand-mix their meticulously developed and tested spice blends to offer endless possibilities; you will be amazed at the difference in freshness and flavour! From two bottle pairings to this Deluxe Holiday Season set, they have a gift set for everyone. Made especially for the furry friends on your Christmas list, Bon-A-Pet Treat! Pet Bakery is dedicated to 100% natural, baked treats made with the highest quality and locally sourced ingredients. Rover is sure to bark with glee and you’ll go down in history as the best pet owners. Ok, so we lied. We forgot to mention one little thing. Treat her to beautifully handcrafted jewelry from Stillwater Design, a contemporary women’s boutique full of wearable art. They offer unique and contemporary styles to help you achieve a fashionable, personalized and confident look, effortlessly. They will help you find just the right gift, so hurry down the chimney tonight. To explore a full list of our vendors and locate the ones on our Top 10 (*ahem* 11) list, visit our website. Direct from the farm to the market, Taber Corn is typically picked at 5am on the morning it goes to market. It doesn’t get much better than that! Fresh, crisp, sweet corn ready to grace any grill and table to wow your family and friends. And their tummies! Join our FREE Corn Roast on Saturday, August 22nd from 10am-4pm! Yes, we’re giving away roasted-until-perfect sweet Taber corn for FREE! Taber Corn can be purchased from Cherry Pit (Perimeter, Booth 7) or Souto Farms (Aisle 1, Booth 1). Melissa Souto on the Family Farm in Oliver, B.C. Sweet, succulent, juicy peaches have been cultivated in the Okanagan for over a hundred years. They’re a member of the rose family – as you can likely tell from their delightful aroma. All varieties equally amazing, peaches are perfect for eating fresh, for baking, or for freezing and canning. Souto Family Farms has been farming peaches for 30+ years on approximately 7 acres, brought direct to the Calgary Farmers’ Market. Cherry Pit supports a neighboring farm, Panorama Orchards, by bring their stunning peaches to market each week too. Organic peaches can be found at Blush Lane Organic Market (Perimeter, Booth 6), as well. Edgar Farms is most famously known in our market parts for their stunning asparagus. But their summer specialty is sweet garden peas. All of their peas (sugar snap, snow, and pea tendrils) are handpicked and chilled in a custom-made ice bath (conceived and made by Doug Edgar himself!) directly after picking. This chilling process keeps the sugars from turning to bitter tasting starch, thus retaining that fresh-from-the-garden sweetness. 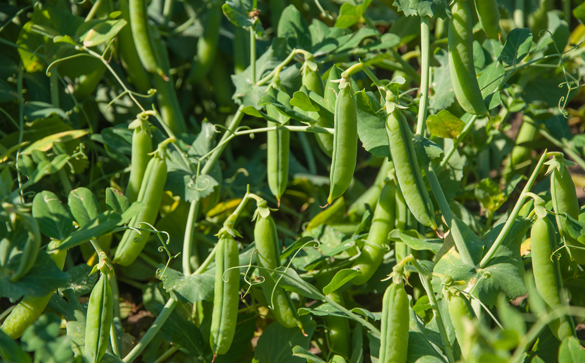 The sugar snap peas that fly off the shelf at Innisfail Growers are the ones that have a much thicker pod wall and develop round and firm at maturity. Pods “snap” just like a fresh green bean. These peas are excellent eaten pod and all, but our preference is to eat the whole bag raw. Did we say the whole bag?!? Yes, yes we did. Pick up your own bag at Innisfail Growers (Perimeter, Booth 22). Most people would agree – it’s not really summer until we start seeing mounds of cherries. Cherries are one of Mother Nature’s truly seasonal crops, and we’ve learned to make the most of our time with them; eating them by the bagful, and preserving them to transport us back to the warm summer harvest during our cold winter months. 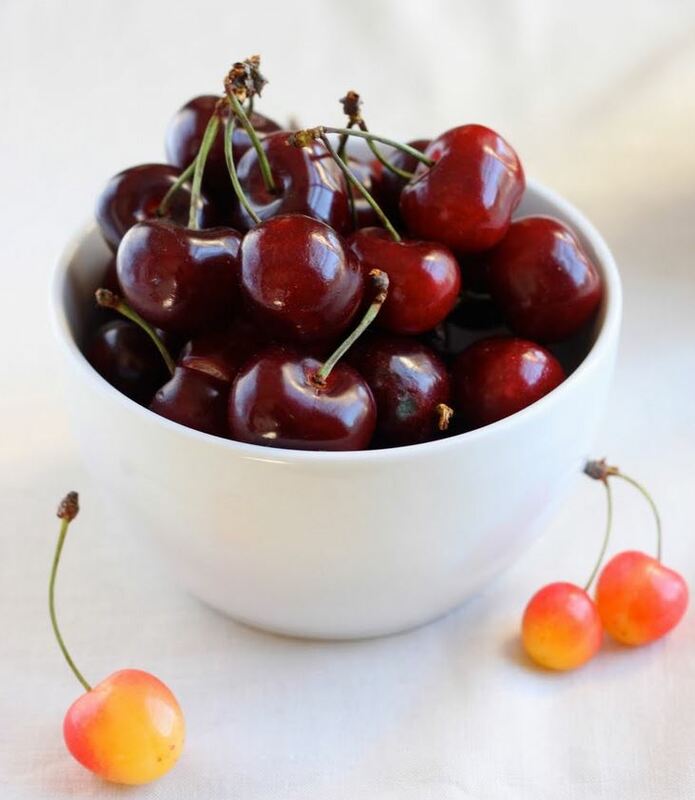 The two most common varieties you can find gracing the shelves at Cherry Pit, Souto Farms, and Blush Lane Organic Market: a juicy, deep ruby red, lip staining Lapin cherry vs. the sweet, golden blush Rainier cherry. Both are equally incredible. Don’t make us choose a favorite. 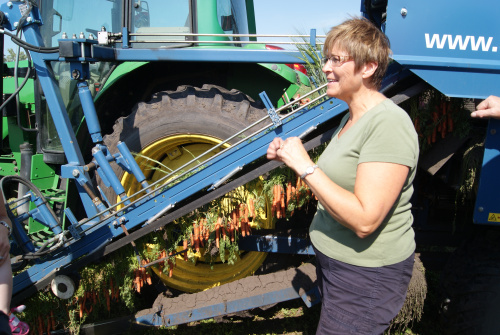 Shelley Bradshaw of Beck Farms with their unique carrot harvester. Shelley Bradshaw, with her husband Rod and two sons have been crafting the art of growing carrots for over 20 years. Over the years, they have perfected planting in Alberta’s rich, dark soil to bring us their famous Nantes carrots, but also beets, parsnips, dill, hot peppers, and more! Nantes carrots are by nature a sweeter variety, but Shelly’s carrots are particularly crisp and sweet due to the unique terroir; the cool nights we experience in Alberta are key to producing sweet tasting, crisp vegetables because it prevents the naturally produced sugars from turning to bitter starch. The new crop of Beck Farms carrots hit the shelves at Innisfail Growers last week, which is particularly exciting seeing as the farm experienced severe drought; Shelly and Rod had serious concerns of having a crop at all this year. Phew! This year the Calgary Farmers’ Market will be open TWO extra days for all your holiday shopping needs! Our extended holiday hours include Monday, December 22 and Tuesday December 23 (9:00am – 5:00pm). 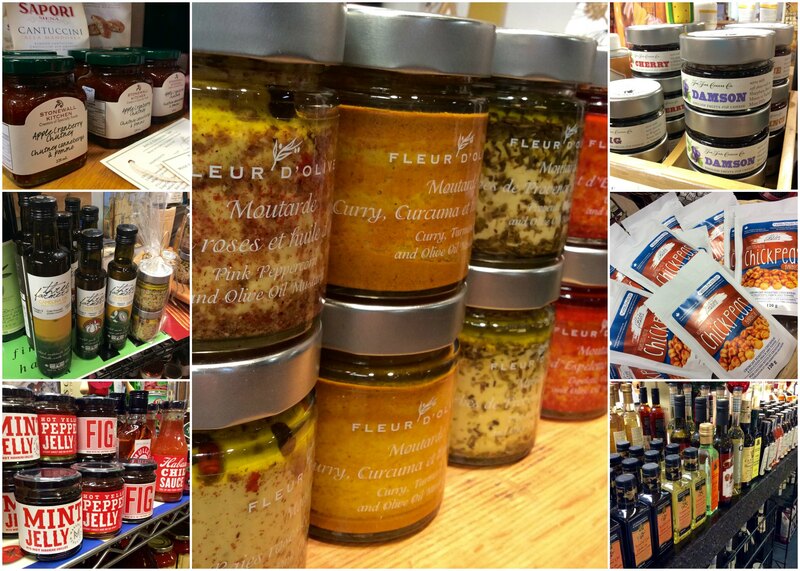 Take advantage of these extra days to pick up last minute ingredients for holiday entertaining and of course, gifts! There always seems to be a few that get left until the last minute, but don’t worry because the market has gift ideas for everyone on your list! The market is a great place to shop for unique gifts for the little ones. Wild Things Baby Stuff has a great selection of knits, toys and accessories for babies and kids. They have beautiful handcrafted wooden toys and great (handmade out of recycled materials in Canada) hand puppets! You can even purchase a kit to make your own. 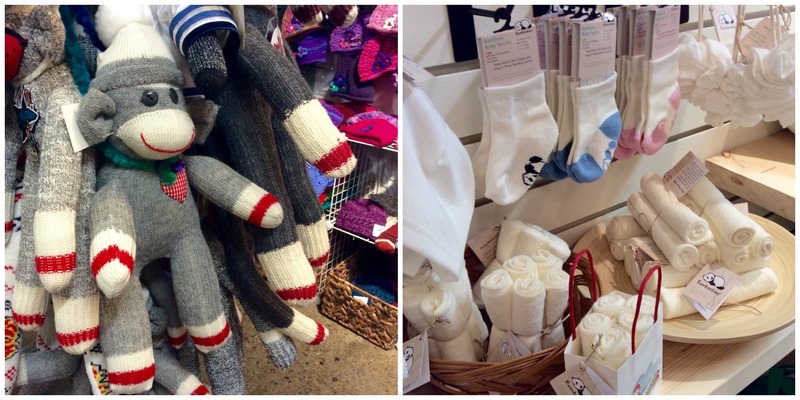 Berit Havre Designs has a plethora of toques, mitts and other cozy clothes, but the holiday favourite is definitively their extensive line of custom sock monkeys! Stop in to see them all. Canadian Comforts has some wonderful baby products made out of bamboo. The material is so soft and just perfect for the smallest people in your life. D’Alpaca Peru is a great place to look for some colourful kid gifts. 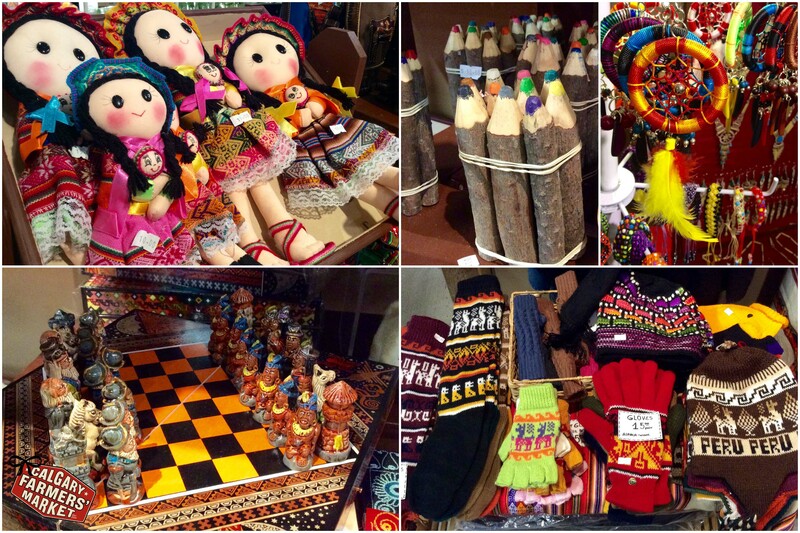 From hand woven sweaters to games, colouring pencils and jewelry, you’re sure to find something unique here. Did we mention the beautiful Dream Catchers? And finally for the kids, big and small, in your life, Cribbage Works has a great selection of (you guessed it) crib boards, but also puzzles (for adults, kids or families), educational games and craft kits. These gifts are great because they include the gift of time spent with loved ones. The market is absolutely the best place to stop if you’re heading to a holiday party this season. From potlucks to cocktail parties, we’ve got what you need. Pick up some fruit wine from Field Stone Fruit Wines the next time you head out the door – they make wonderful host gifts. You can also mix up a great, festive cocktail with these wines! Going Nuts has great mixed nut trays to put out for guests, or try some crowd-pleasing dips from Stock and Sauce. If you’re in need of a sweeter surprise, there is no shortage at the market! Papa Chocolat is the place to go for chocolate goodies. Also, try some delicacies from Orchid Pastry, cookies from Yum Bakery or homemade fudge from A Taste of Quebec , and that’s just the tip of the iceberg. Other great host gifts to really impress include gift packs from Soffritto, spices from the Silk Road or even some specialty honey from Beeland! The possibilities are endless. You really can’t go wrong with the gift of food, and many of our vendors will package up a beautiful gift basket for the hard-to-shop-for person in your life. 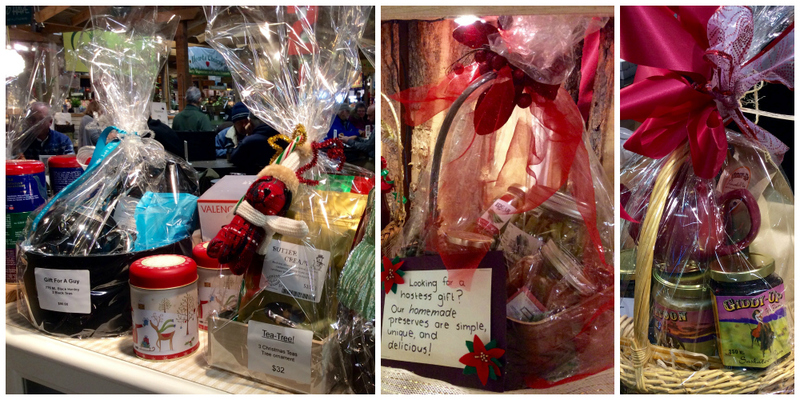 Pick up a basket from TotaliTea, Innisfail Growers, or Saskatoon Farm this season! If you’re going to make your own basket, be sure to check out all the delicious goodies at La Cucina or Fresh Delicious. Sometimes stocking stuffers can be the best gifts. You know what they say about small packages! A great place to start looking for stocking fillers is Eden Essentials. TotaliTea has some great tea-infused lip balms. Beeland has lip balms too, and some amazing beeswax candles. If you stop by Jolly Goods Candy Stop, you’ll be sure to find some great goodies. Papa Chocolat has some great items for stockings too. Don’t forget about the beef jerky! A classic stocking stuffer – and we’ve got four different kinds! So many to choose from, but whether it’s from Longview Jerky Shop (beef jerky), Silver Sage (beef jerky), Wapiti Ways (elk jerky) or Olson’s High Country Bison (bison jerky) – you can definitely get jerky at the market. Nothing is harder than shopping for your significant other. 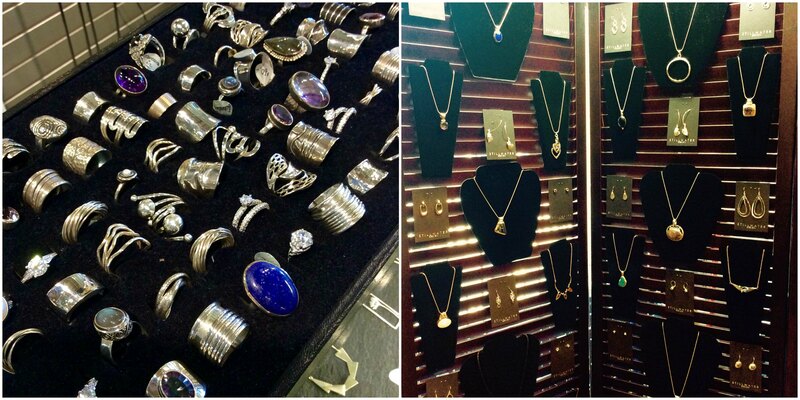 We would recommend checking out Stillwater Designs for that perfect piece of jewelry (or clothing!) for her. Art C Creations has some amazing hand-painted glassware, and cute wine accessories to go with it! Knifewear is definitely the place to go when shopping for the man in your life. Beautiful knives are always a great gift, and they’ve also got a full line of shaving tools and accessories. A gift you and your loved one can both enjoy – some beautiful bamboo sheets or new bamboo pillows from Canadian Comfort! Don’t forget about our wonderful art selections at the market as well. Pick up a piece from Artistically Inclined, or a photograph from Ursula Krol Photography to really impress that special someone. These gift ideas hardly scratch the surface of the amazing selection of products that our vendors have to offer! Make the Calgary Farmers’ Market your one-stop-shop this holiday season; you won’t regret it! Wishing you a Merry Christmas and happy holiday season from everyone at the Calgary Farmers’ Market! ***Remember, we will be closed from December 24th – January 7th, reopening for regular hours on Thursday, January 8th, 2015. See you in the new year! Our friends over at Avenue Magazine are full of incredible articles that highlight what’s hot in Calgary from food, restaurants, and chefs to homes, entertainment, and lifestyle. And once a year, they release a super neat article of the 25 Best Things to Eat in Calgary. We wait with bated breath for this list because we’re eager to see how many yummy things you can find right here at the Calgary Farmers’ Market. And this year, we hit it big! 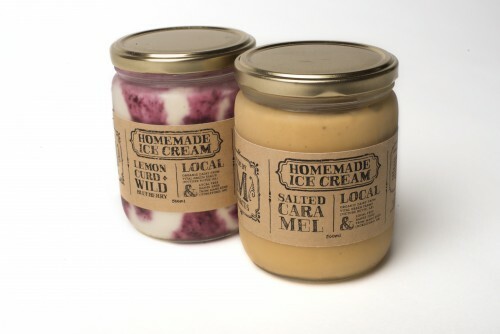 We’re so very proud of our vendors that we couldn’t help but share their delicious victories. Made by Marcus Ice Cream hit the freezer at Blush Lane Organic Market earlier this year and it takes every ounce of will power to not pick up a pint weekly… especially when Marcus Purtzki brings in new and unique flavors on a regular basis. Organic cream from Vital Green Farms forms the foundation for his delicious concoctions, like Lemon Curd + Wild Blueberry or Chai Hot Chocolate (which just hit the shelves this week) to name just two of his incredible flavors. Watch out Ben & Jerry. While we’re on the topic of Blush Lane Organics, they carry a wide variety of organic produce, meat, dairy, and grains, including the locally produced cereals and granola from Highwood Crossing. 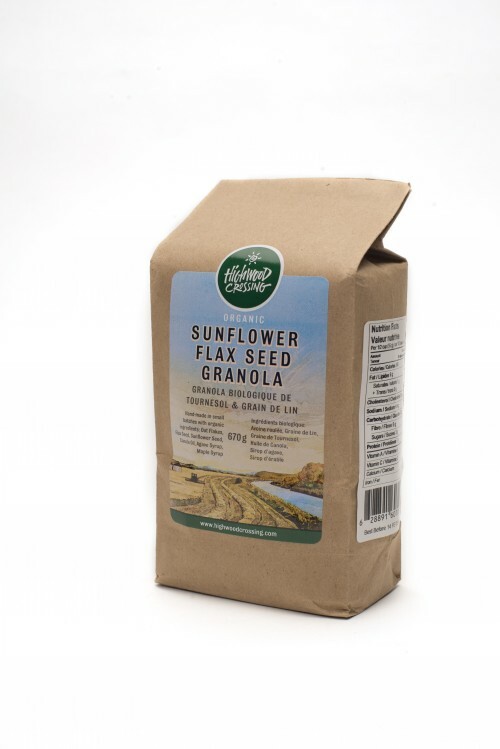 “A 100% natural, preservative-free cereal made fresh each week with certified organic old fashion rolled oat flakes, whole flax and sunflower seeds, cold-pressed canola oil and amber maple syrup”, it is delicious whatever way you choose to enjoy it. When mid-afternoon approaches and you get that hankering for something sweet to go with your coffee break, it’s hard to choose from the incredible selection we have here at the market. 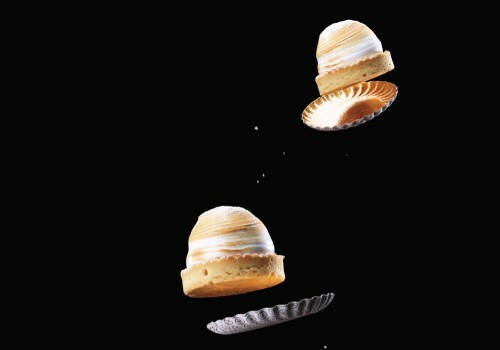 But Avenue Magazine hit the jackpot with Eclaire de Lune’s Lemon Tart. The crunchy shortbread base seems standard for this traditional dessert, but the not-too-tart lemon curd centre and pillowy cloud of marshmallow-like meringue on top is nothing short of perfection. If lemony desserts aren’t your thing, don’t fret, Eclair de Lune has a full offering of traditional (and delicious) French pastries to please even the pickiest of palates. With over 80 vendors supplying you with fresh local produce, art, meat, poultry, international food, organic goods , jewelry and more, we’re proud people are starting to spread their culinary wings to include things like elk in their diet. Wapiti Ways naturally raises their Elk on pasture grass, hay, and alfalfa without antibiotics, preservatives, or additives. 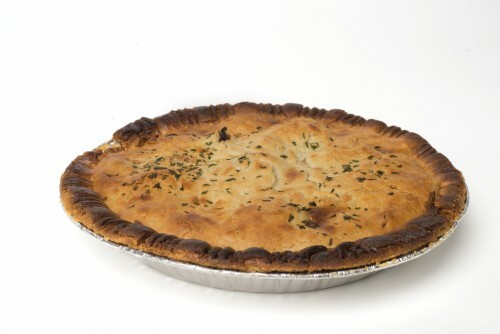 Their complete line of elk products are healthy and tasty, including their Hunter’s Pie; with chunks of lean, tender Alberta-ranched elk, simmered in a dark ale gravy, with mushrooms, sweet carrots and pearl onions all in a flaky pie crust. It’s maybe one of the easiest, most delicious take-and-bake items from the market. Artisanal oils have become wildly popular with shops dedicated entirely to perfectly pairing oil and vinegar; we are delighted to see our friends from Soffritto being selected as a Top 25. 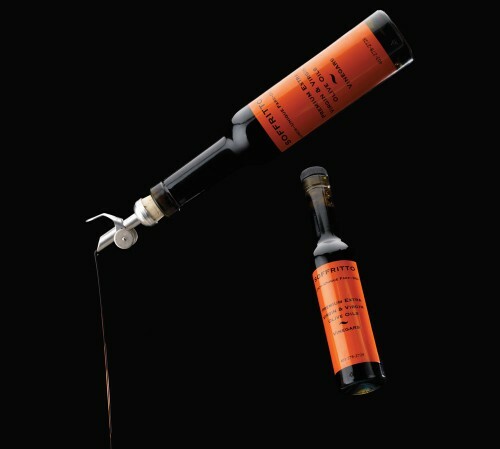 With 38 olive oils and balsamic vinegars to choose from at their Calgary Farmers’ Market location, you could end up visiting them for a long while as you taste your way through their selections in search of your favorite pairing. The espresso balsamic is popping up as a favorite among many with layers of authentic espresso and dark roasted coffee. It makes a fantastic glaze or barbeque base or can be used sweetly drizzled over ice cream. It’s no surprise that it is part of Avenue Magazine’s Top 25. Olson’s High Country Free-Range Bison is another market-favorite with their wide array of grass-fed bison products. 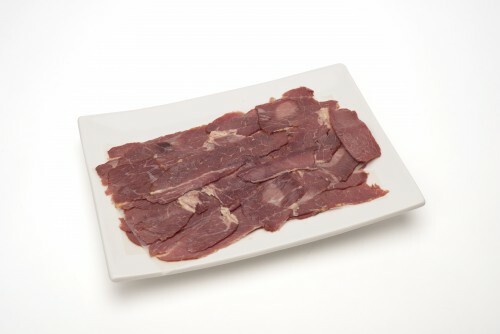 They offer all of your typical cuts of meat, but also an impressive frozen selection, including bison pasta, and cured meats to garner your charcuterie board too – we’re partial to the bison bresaola. The Montreal smoked bison proudly graces Avenue Magazine’s Top 25, which we are sure could rival even the best traditional Montreal smoked meat sandwich. We see Nicole Fewell around here a lot as she shops for locally produced items that set the fare of her Cheezy Bizness food truck apart from the rest. And when she’s not on the roads, spreading Cheezy goodness, “she spends her time making real tonic by steeping distilled water with lemon, lime, lemongrass, cinchona bark and agave nectar to create a tonic concentrate. Mix it 1:1 with your favourite gin, then top with soda water and ice for a sublime G&T.” And you can pick it up while you’re perusing the impressive spice selection at the Silk Road Spice Merchant. A BIG congratulations to all of our vendors that were part of Avenue Magazine’s Top 25 Best Things to Eat! Now, how many have YOU tried?